Especially for sporting bicycles, Hebie has made a number of sporty bicycle stands with two legs. The Hebie He605 is one of these models and is absolutely worth it. The stand is made of hardened steel and is made to give heavy bikes a stable surface. The standard can lift up to 40 kilograms and is suitable for bicycles with a wheel size of 28 ". The standard is therefore very robust and very reliable, this makes the standard a bit heavier, but whoever is interested in beautiful design and German solidity is this standard an absolute must. 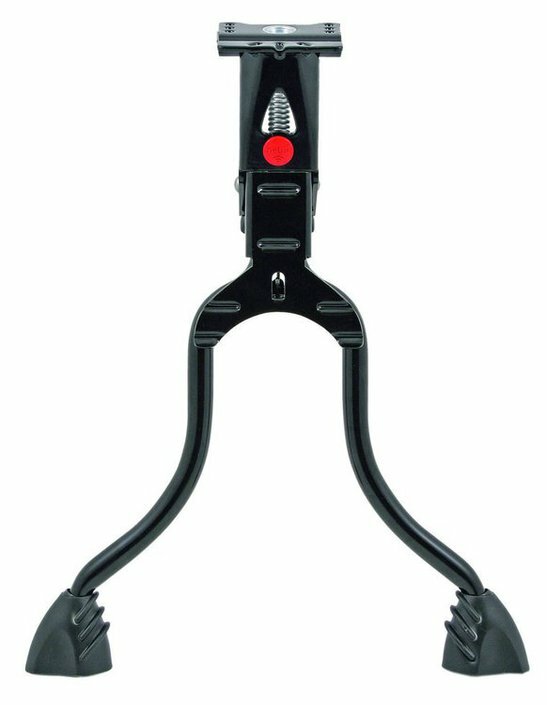 This bike stand is strong and good value for money. I wasn't sure at first if I bought the right stand, so I rang "frank"up. A very friendly lady put me at ease and advise to wait until the stand arrives and then make a decision. I was very pleased with the product when it arrived. I am delivering many goods by bike from door to door, so the stand would have to be strong and durable. And it is great! Thank you so much.